Champaka Spa holds regular events to share cultural interest in Traditional Thai Massage through direct interaction with the American public. Public settings are held at schools, festivals, health centers and Champaka Spa facility. Events are open to the public and anyone interested to learn about Thai culture and Traditional Thai Massage. 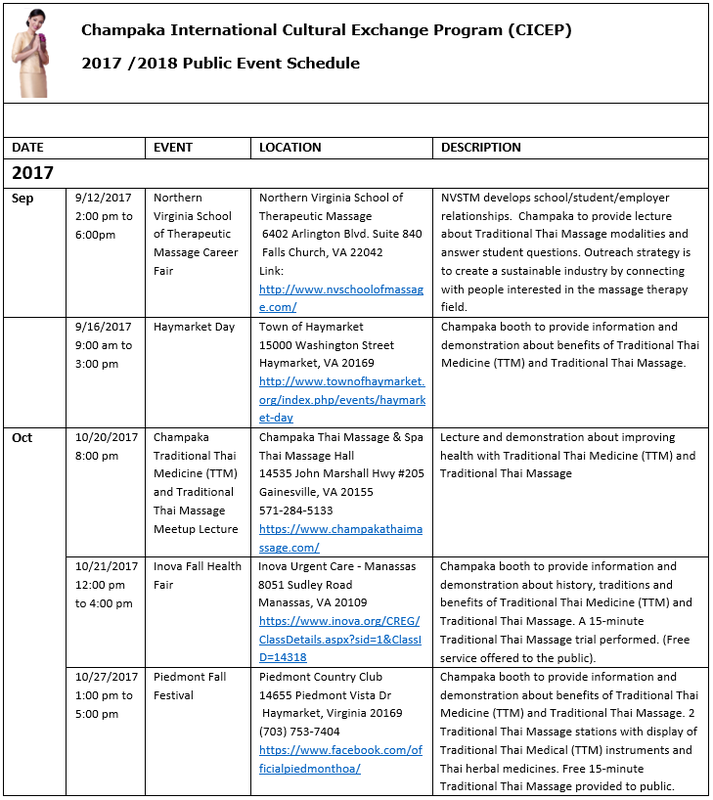 For additional Champaka Thai local community cultural events, see these other Champaka Thai Cultural Events. Champaka Spa is organizer and host of Gainesville Thai Cultural Meetup. Our Cultural exchange leads monthly Thai Cultural Meet Up, provide discussion/lecture about Traditional Thai Medicine (TTM) and Traditional Thai Massage. Meet Up is located Champaka’s Spa facility and is open to the public. (Handicap and wheelchair accessible).